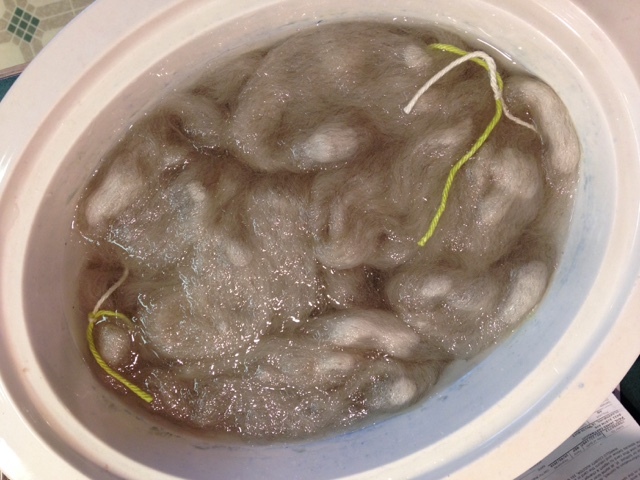 InterLocking Loops Podcast: What's in the dye pots? 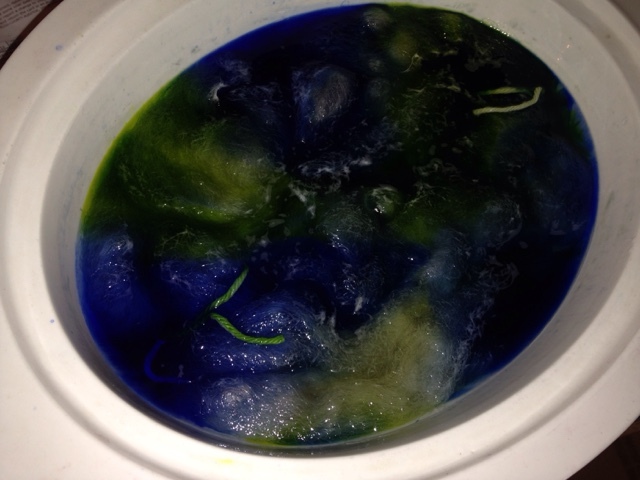 What's in the dye pots? 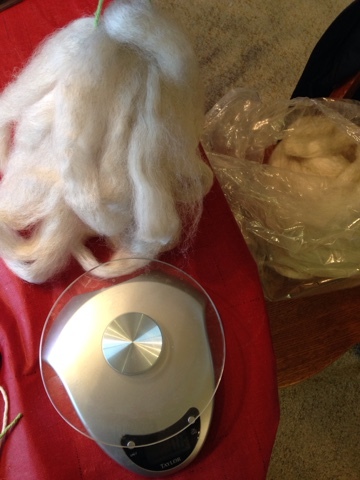 Weighing out one ounce increments of Romney wool roving in a light gray. Then I tie them with cotton. I add two to each crock pot to dye. They soak in a water bath with a couple splashes of vinegar for 20 minutes. I can then prepare the dye solution. Then I add dye. This time three colors. 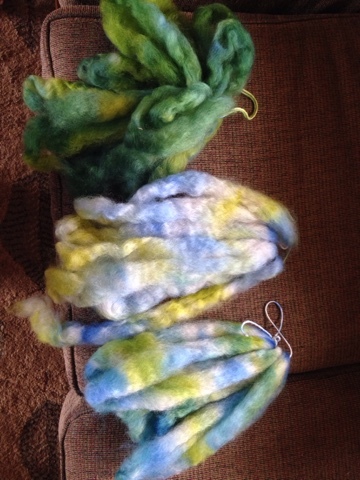 A blue, light green and teal. I turn on the crockpot on high. I let it sit covered until heat set or starting to steam. I turn off the crockpot and I leave alone until cool. Rinse and let dry. I have washed and hung to dry. 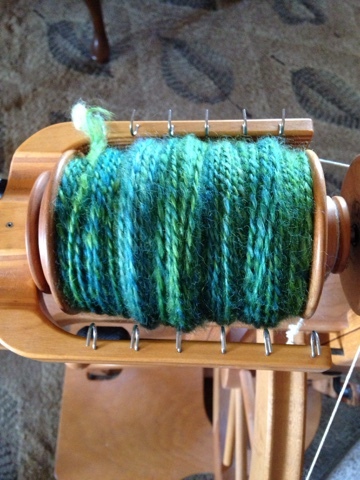 I hope to start the sweater spin soon. 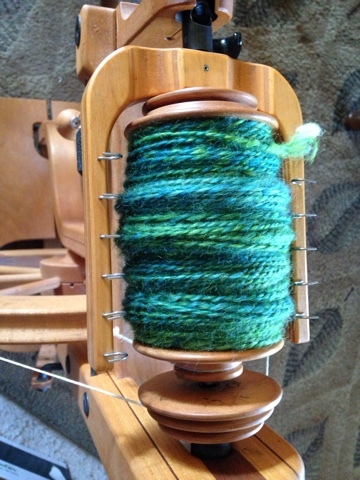 Ended up with a Dk weight. Now off to pick a pattern.